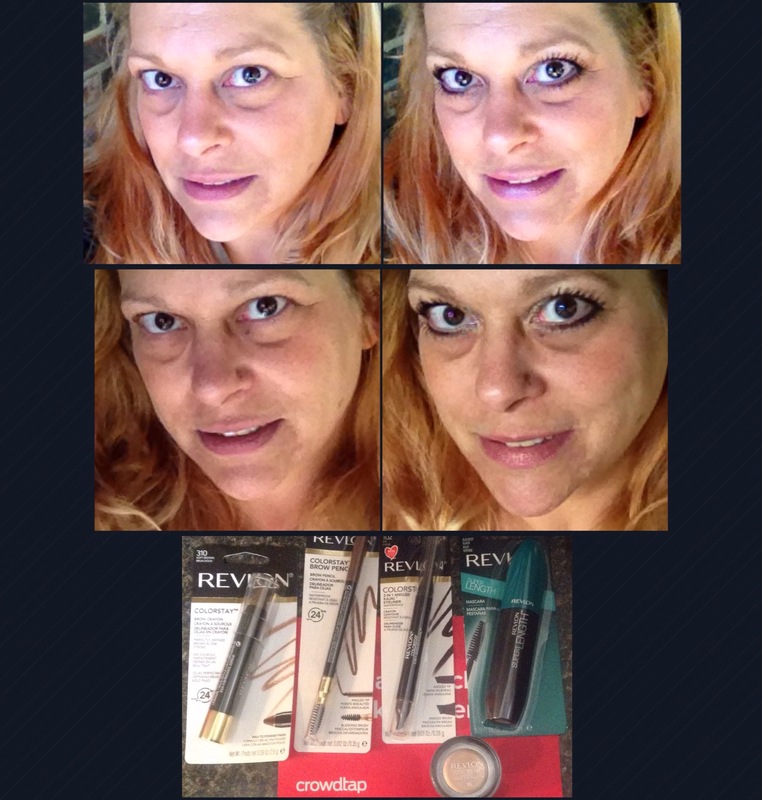 All of these products stay on ALL day long! Just Amazing to me. The Brow Pencil is also Angeled, which makes applying in just the right spot very easy. It has a brush on the other end, which allows you to get the look of brow hairs easily. The Brow Crayon goes on in one easy stroke as well. I had never used anything before to define my brows, but now I will continue to use these for beautiful definition. The Super Length Mascara brought out my eye lashes like no other and it stays on all day. This mascara did not irritate my eyes, like others, so I was able to keep it on all day long. The Creme Eye Shadow has a brush inside the cap and application is a breeze. I applied this to the inner corner of my eye in to the center and again just under my center brows. This really opened up my eyes.